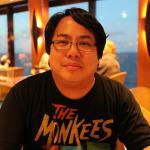 MPAA Rating: PG-13 for some fantasy action violence. No mid- or post-credits tomfoolery. Running time: 133 minutes. Released by Warner Bros. Pictures. It’s hard not to see Fantastic Beasts and Where to Find Them as anything other than a family film capable of inspiring us to be our better selves while helping those in need. After all, author J. K. Rowling penned seven Harry Potter novels about this very notion; why would her first screenwriting effort be any different? With Fantastic Beasts, she has taken a goof of an encyclopedia-style Hogwarts “textbook” (which she wrote for the Comic Relief charity in 2001) and created a whole new world around its fictional author, Newt Scamander (Eddie Redmayne). Lest you wonder, all of the characters and situations which occupy the film (which is the first of a five-film series) except for one – Scamander himself – do not exist in the book. This is a brand-new story with brand-new sights and sounds, only nodding slightly to Harry Potter’s seven novels and eight films (remember, the final novel was split into two theatrical installments) while still maintaining its air of whimsical madness, keeping the flavor Rowling so wondrously imparted to the Harry Potter universe. 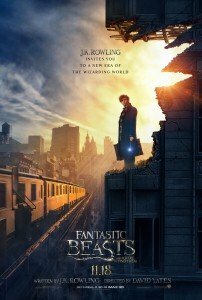 Her screenplay for Fantastic Beasts is an absolute treat, bringing with it new struggles and parallels for our modern-day world, eschewing extremism and violence and always advocating for virtue and humanism. 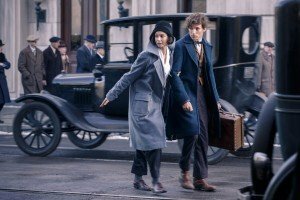 Rowling doesn’t waste any time going for the throat as Scamander steps right off a steamer into pre-Great Depression New York City and immediately encounters Mary Lou Barebone (Samantha Morton), the head of a Westboro Baptist Church-like organization called The New Salem Philanthropic Society. She calls him “new friend,” but her words are anything but friendly; she’s shouting about the need to exterminate witches found in America. The only other people seen following her are children, notably her adopted son Credence (Ezra Miller) and daughter Modesty (Faith Wood-Blagrove). This setup automatically engages the notion of hate being a learned behavior, not a natural or innate one; it also demonstrates Mary Lou’s utter cowardice in preying on the young and uneducated. Morton gives Mary Lou a sense of detachment, as if the machinery is whirring in her head but the lights have yet to reach her eyes. 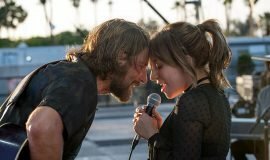 It’s not a dead performance by any stretch of the imagination; it’s downright frightening, how she seems to be following the passion of her life’s work and yet appears passionless about it, like it’s a burden she must bear. 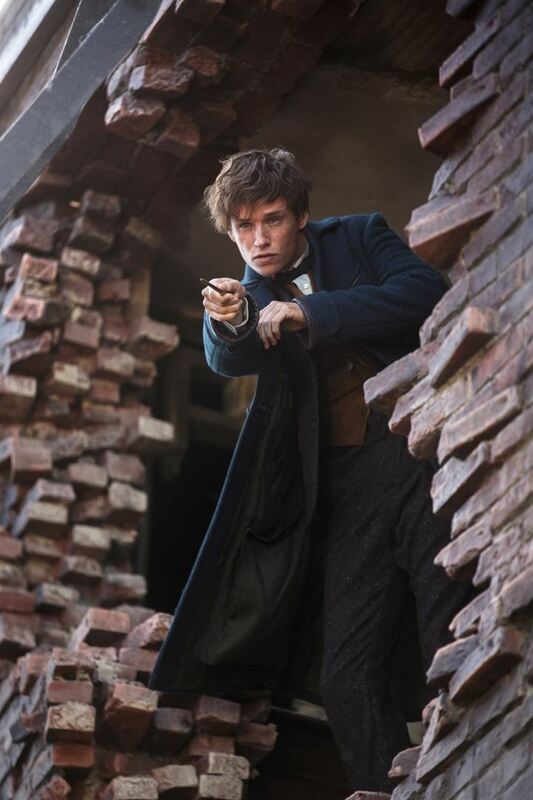 Conversely, one might think Scamander’s on the spectrum with a mighty case of Asperger’s; his feet dance and shuffle, he maintains no eye contact with anyone, he keeps his head cocked to the side as if to protect himself from a punch, and he’s not used to the kind of people who inhabit pre-Depression-era New York City. 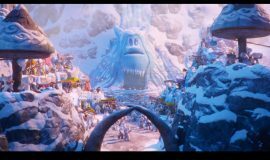 He’s arrived in the city at a bad time to be a wizard, due to a mysterious dark force destroying buildings and killing people. There’s more to this force than we think, but the Magical Congress of the United States of America (MACUSA) wants to put a lid on it, capture whoever’s responsible, and not give Mary Lou any further ammunition. However, Percival Graves (Colin Farrell), a shady MACUSA Auror, has a line on the phenomenon through – surprisingly – Credence, and Graves tries to get this information through clandestine meetings in back alleys. Miller once again becomes the underestimated surprise of any film he’s in, but this time by playing a shell of a human with some terrible secret gnawing at him. He plays the pained Credence with chilling accuracy, even though his role doesn’t demand a lot of dialogue. Rowling’s subtext almost gets turned to plain text throughout the movie with scenes between Credence and Graves; while the film’s end will explain a lot of it, their dynamic is an awful reminder of how we used to treat those we thought of as being “lesser” than us. Themes of repression and closeted behavior are touched upon in both brutal and gentle ways, culminating in a lesson so violently learned that one would hope to avoid consequences like those shown in the film. 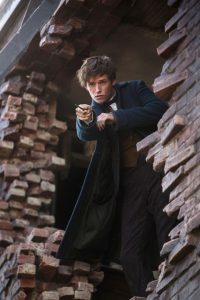 But bravery and valor show up in the most unlikely of places through the unlikeliest of people, which changes Scamander’s solo act into a quartet. Tina Goldstein (Katherine Waterston) has tried to prove her worth after being demoted from Auror status at MACUSA, and she sees in Scamander a chance to get back on top. She, along with her mind-reading sister Queenie (a swoon-worthy Alison Sudol) and the lovably hopeful No-Maj (the American term for “Muggle,” a non-magic person) Jacob Kowalski (Dan Fogler), takes this chance not to redeem herself professionally, but personally after ascertaining Scamander’s true purpose in carrying a suitcase full of mystical, mythical creatures from the magic world. These people helping him make me believe the titular “fantastic beasts” may not just be the ones in his suitcase; it’s rather a reference to humanity itself. Fantastic Beasts and Where to Find Them is a sumptuously-presented film, with David Yates’ direction recalling shades of Tim Burton at his whimsical best. However, his direction and feeling have always left me at arm’s length, as if he were afraid to make us eager and willing participants. 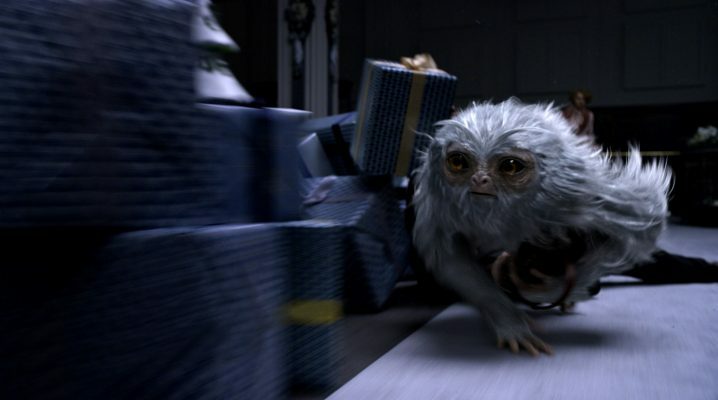 The last four Harry Potter movies and, now, Fantastic Beasts carry with them this odd sense of objectivity, wanting us to focus more on the impossible and less on the tangible. True, there are eye-pleasing works of wonder and danger, and this film – as scripted – is quite the adventure of a lifetime, but there’s an emptiness in its core due to his inability to stay grounded in any one scene long enough for us to feel at one with the film. We’re constantly moving from set piece to set piece without any tether, or any kind of lingering aftertaste on the palate. Part of what gives Fantastic Beasts even more Burton-esque qualities are Burton alumnus Philippe Rousselot’s soft-filtered, kinetic cinematography, and a lavish score by James Newton Howard which almost rips motifs and chord progressions wholesale from Edward Scissorhands. I found myself humming the Scissorhands end credits music over Howard’s end credits theme and wondered if it was coincidence; not that any of these are bad things, mind you. What earns the film its points is its performances and barbed, yet hopeful social commentary Rowling slips into her screenplay. Fantastic Beasts and Where to Find Them never stumbles on the fine line it walks between being a magical family film and making a statement about identity issues and environmentalism without being preachy.